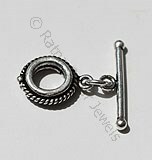 925 Sterling silver claps add elegance to any jewelry design. 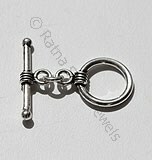 Whatever your style or taste, suitable sterling silver claps can provide that special touch that will set a piece of jewelry apart from all others. 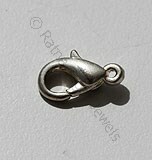 Sterling silver claps come in a variety of shapes like Toggle shape, S shape, Ring shape, Oval shape. 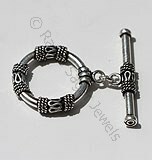 They are the perfect match to any jewelry design. 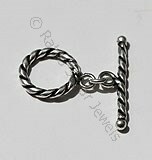 All of these oxidised silver claps are made of high-quality 925 sterling silver and will give your designs an elegant appearance. Handcrafting your own jewelry means you have one-of-a-kind pieces that show off your personality. The beads and findings at Ratnasagar Jewels allow you to create quality, lasting pieces that are unique to you.